Submarine tells the story of fifteen year old Oliver Tate (played by Craig Roberts) growing up in the eighties who has to cope with the stress of sorting out his parents’ relationship problems and at the same time juggle the responsibilities of his own relationship with his girlfriend Jordana. Technically speaking, Submarine is split into three parts, Part 1: Jordana Bevan, Part 2: Graham Purvis (Oliver’s new neighbour and his mother’s first love) and Part 3: Showdown, but all the parts are interconnected and they all form part of the same overall story. 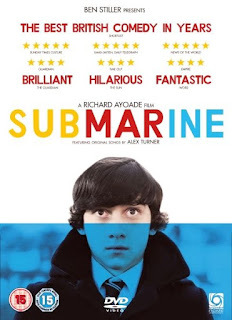 Submarine has been expertly cast and features excellent acting performances, with superb performances in particular from Craig Roberts as lead character Oliver and Yasmin Paige as his love interest Jordana. Noah Taylor as the dull and depressed Lloyd (Oliver’s dad) is also brilliant and he plays the unintentionally amusing aspects of Lloyd’s personality exceptionally well indeed. To be fair though, the entire cast put in perfect performances and were helped by a very well-written script. 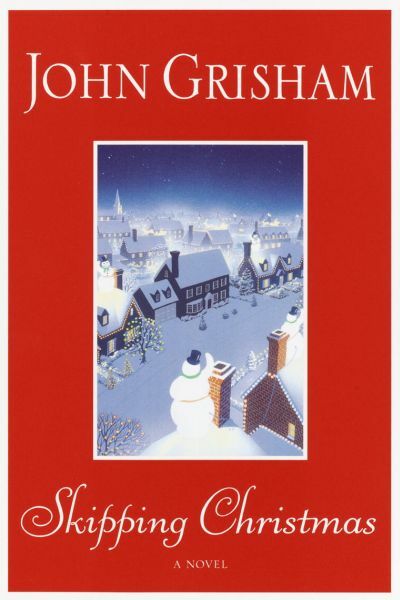 Skipping Christmas: An easy and enjoyable read. Given that this is technically a blog devoted to featuring underrated books, movies, albums, etc, which some potential fans may have overlooked, it probably seems a bit out of place to be covering a book by that little known undiscovered author by the name of John Grisham. 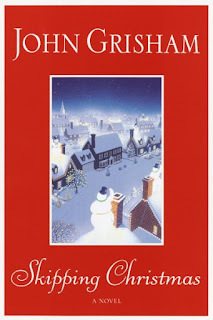 However, although Skipping Christmas is written by multi-million selling John Grisham, it’s nevertheless not the first book that springs to mind when you mention his name and is arguably far less famous than some of his more well-known books such as The Pelican Brief, A Time To Kill or The Runaway Jury. And secondly, as it’s only a few days until Christmas, it therefore seemed appropriate to include a suitably Christmas themed review. I generally prefer Grisham’s legal stuff and more action orientated plots, so for a long time a seemingly throwaway story about Christmas didn’t really hold much appeal. Many other John Grisham fans may also have overlooked it, and that’s a shame because although Skipping Christmas is not really in the same typical style as some of Grisham’s more usual novels, it’s nonetheless a lovely book. Or ‘bonus tracks’ as they’re known nowadays. With the way music is packaged and sold nowadays B sides are becoming a dying concept, with downloads meaning that the necessity for a B side (or bonus track) to go with a single has been greatly diminished. Many artists do still include B sides/bonus tracks as part of a single bundle, but they often simply include a few remixes or live versions of a previous song and the bonus tracks sometimes feel as if they are simply there to make the numbers up. This is a shame as if you go back a few years, there were some excellent B sides to be found accompanying the ‘A’ sides on many singles. the bonus tracks to The Verve's Lucky Man. 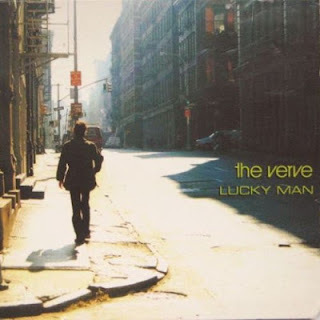 Never Want To See You Cry featured as the second track on The Verve’s three track Lucky Man CD single, sandwiched between the brilliant ‘Lucky Man’ and ‘History’. Between such illustrious company you would expect most songs to be well and truly put in the shade, but although Never Want To See You Cry is not quite in the very same league as Lucky Man and History it nevertheless comfortably holds its own. It opens up with a simple but hauntingly beautiful violin melody before the acoustic guitar kicks in and like most songs by The Verve from that era it’s a song filled with emotion. The whole song has a happy vibe to it but this is especially so when the violin riff plays during the chorus. Never Want To See You Cry would fit in perfectly on The Verve’s Urban Hymns album and therefore it goes without saying that it’s definitely worth tracking down. 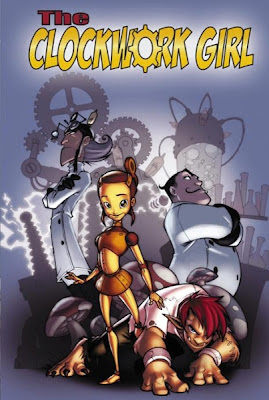 The Clockwork Girl: A magical story and beautiful artwork. of Kevin Hanna and Sean O'Reilly. The Clockwork Girl tells the story of a clockwork girl and a mutant wolfboy from warring families who see past their fathers' differences and quickly become friends. It’s a warm and touching story, and one which will appeal to kids and adults alike. The opening sequence quotes Nikola Tesla when it reads, ‘I do not think there is any thrill that can go through the human heart, like that felt by the inventor as he sees some creation of the brain unfolding to success. Such emotions make a man forget food, sleep, friends … everything.’ I can imagine that on completion of this graphic novel, the thrill felt by the creators KevinHanna and Sean O’Reilly must have been something quite akin to that described by Nikola Tesla, as The Clockwork Girl is undoubtedly a book which its creators will be extremely proud of. The Ngorongoro Crater: An essential destination for any traveller lucky enough to visit Tanzania. It’s quite a few years now since I visited the Ngorongoro Crater but it still remains one of the most memorable travel experiences of my life. I love travelling and saw so many amazing sights during my three months in East and Central Africa, but the Ngorongoro Crater would comfortably make my top three of places to visit. Given the long list of unique and memorable places to visit in Africa, that’s quite a bold claim to make, but there’s no other way to describe it. The Ngorongoro Crater is literally like a different world. A panoramic view of the Ngorongoro Crater. The Ngorongoro Crater is the world’s largest unbroken collapsed volcano with a diameter of 18 kilometres and its very own eco-system, and this makes it the ideal location for thousands of animals to make it their home. This in turn makes the crater an absolutely amazing place to visit for any backpacker or tourist who loves wildlife.